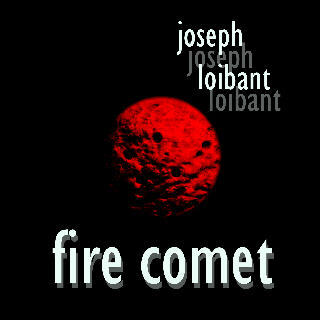 Joseph Loibant shapes in this album a vigorous music, unnderlined with a strong pulse and clear brush- strokes. A music of cutting edges and sounds of a remarkable density and weight. Exploring the most electronic aspects of the currents near to Trance, Synth-Pop, Space Sequencer Music and Techno, the composer succeeds in creating themes of an imparable rhythmic power. He also offers us passages of a vivid emotional warmth, where the synthesizers are perceived more like sound gnomes than like machines. Another trait that is immediately noticed is the almost obsessive care in the management of the sounds. Beyond the task of composing, such artists as Loibant sculpt the music from point zero, choosing each element of sound with the same care as they choose each note or chord. Some subtle touches of Jazz complement several of the themes, thus contributing to give the music a more individualistic personality.